I got this in a swap on Makeup Alley from a lovely chica in Singapore. She was fab enough to custom purchase this beautiful Japan-exclusive OPI glitter, I Pink I Love You from the 10th Anniversary OPI Japan Collection that came out a few years ago. I feel really excited that I have this polish, it's so beautiful! 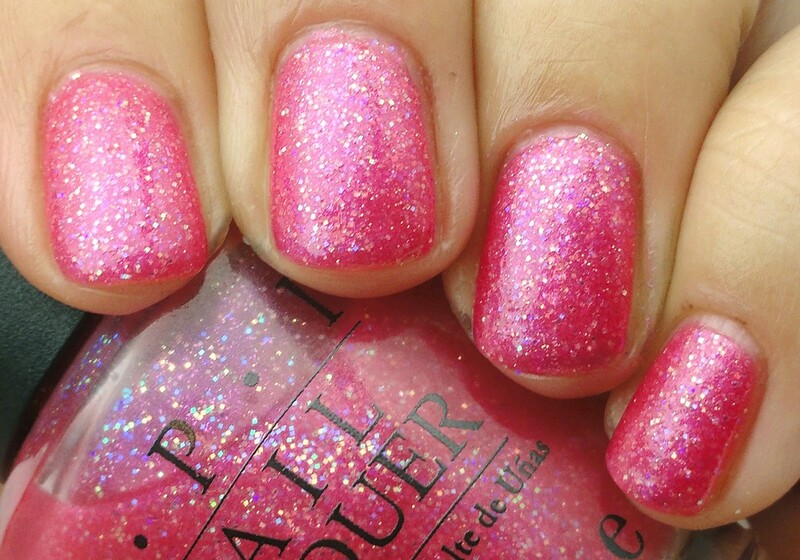 Bright warm pink with tons of little square multi-colored glitter pieces. It reminds me of the Happy Birthday Barbie that I had when I was little! This is three coats.